Century Cycles is hosting a free Women’s Bike Maintenance & Safety Clinic on Thursday, September 30, from 6 to 8 p.m. at its store in Rocky River. The special instructor for this ladies-only clinic is Jackie Baker, a pro rider and expert trainer from Giant Bicycles who is a liaison from their comprehensive Giant for Women program. Meet Jackie and learn from the pro! The clinic's topics are how to change a flat tire (the #1 bike maintenance skill), Jackie’s five-minute bike safety checklist (to make sure a bike is good to go before a ride) , and her road-or-trailside survival tips should you break down away from home (and nobody is answering their cell phone to come pick you up). Wine, cheese and other refreshments will be provided. Attendees can also register to win a $50 Century Cycles gift card! This event is FREE and no registration is required. This clinic is being held at Century Cycles' Rocky River store at 19955 Detroit Road, next to Herb's Tavern. For more information, call Century Cycles in Rocky River at 440-356-5705 or go to www.centurycycles.com. 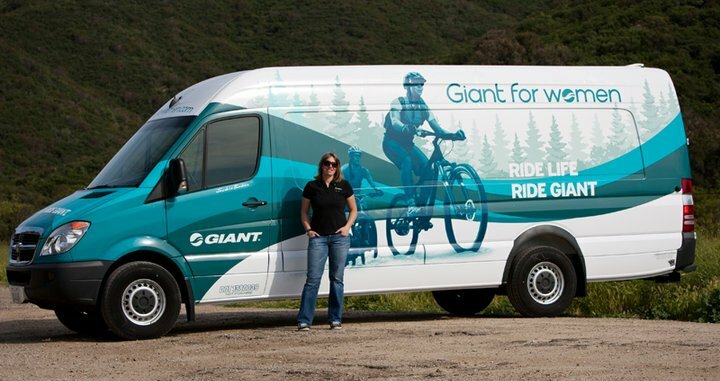 Jackie Baker from Giant for Women is an expert at helping women feel more confident riding and maintaining their road and mountain bikes. She grew up riding horses in Ohio, but has been riding and racing mountain bikes since moving to the Rocky Mountains in 1997. She's raced cross country, spent several years racing downhill as a pro, can hold her own on a road bike, and has even dabbled in track and BMX racing. Before joining the Giant for Women team, Jackie was a coach for Bikeskills. She now travels the country in her Giant for Women van (affectionately named Gordo) filled with demo bikes, visiting Giant retailers and attending bike industry events to share her knowledge and expertise.